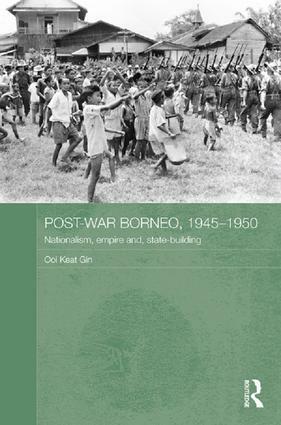 This book examines Borneo, both British Borneo – Brunei, Sarawak and North Borneo – and Dutch Borneo in the period 1945-1950. Borneo then was at the crossroads. Following the Japanese Occupation, the likely future status of the various Bornean territories was not at all clear, and the book discusses the various factions and powers, both local and international, who were contending for control in this period. It examines the effects of the Japanese surrender, the impact of the subsequent interregnum and Australian and British military administrations, the reassertion of Dutch control, the struggle for Indonesian independence, and movements for local autonomy, reassertion of ethnic rights, interests and identity. It charts developments throughout this volatile and uncertain period, up to the point at which the newly independent Republic of Indonesia emerged and a more settled period began.